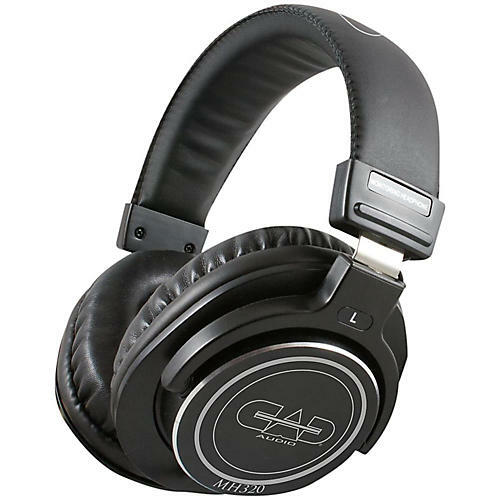 CAD Audio is introducing the new MH320, closed back, circumaural monitor headphones for a wide range of studio applications. Precision built and equipped with high output 45mm neodymium drivers, the MH320 feature an extended frequency response with an exceptionally clear and detailed sound. Crafted from high-grade stainless steel, manganese and aluminum, the headphones are built with the durability and solid construction to ensure years of use. Large, ultra-soft leather earpads outfitted with high-density memory foam provide effective isolation and hours of fatigue-free listening comfort. Accurate, rugged and extremely versatile, the MH320 headphones are an essential tool for superior studio performance and a vital accessory for professional musicians.